We all know that living costs continue to rise, and it's harder and harder for working families to make ends meet. Do you know how much money you need to earn each month to cover basic expenses, without public or private assistance? Now you can easily calculate the amount needed, taking into account the ages of everyone in your family. 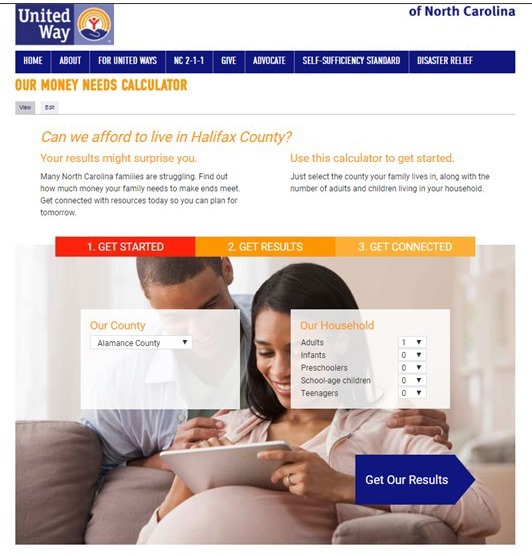 Thanks to a partnership between United Way and Research Triangle Institute (RTI), we are able to provide "Our Money Needs Calculator," a free interactive tool that can help your family review your current financial situation and set goals for the future. 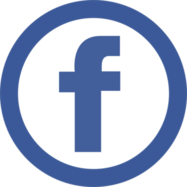 The calculator uses information that you enter about your family, along with data from the "Self-Sufficiency Standard 2017" to determine the costs of food, housing, child care, health care, and other essentials. The Self-Sufficiency Standard report was created for United Way of North Carolina and details the costs of basic necessities for every county in North Carolina. You can download the full report here. Click the image below to go to Our Money Needs Calculator and learn how much your family needs each month. Then, the Calculator will help you identify options to reach your goals!